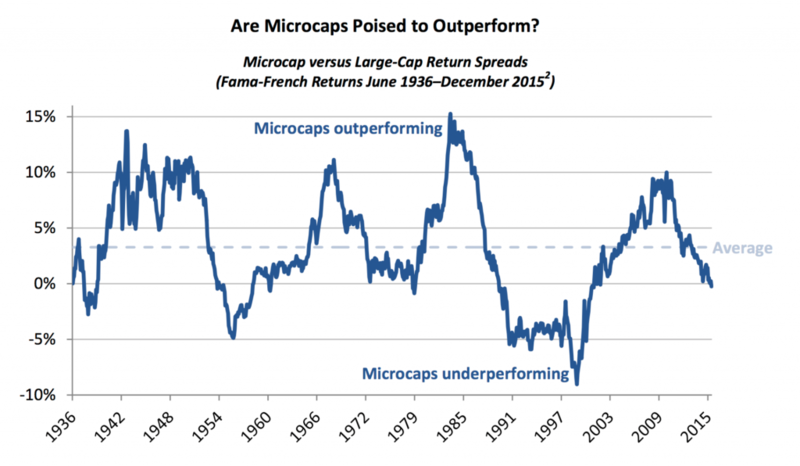 DGHM & Co recently published a white paper, Microcaps: Value Uncovered. In the white paper, they illustrate that Microcaps have outperformed Large Caps since 1926 (+11.7% vs +9.4% annualized returns), and that microcap value stocks have greatly outperformed (16.1% annualized return) during this time period. The report also offers statistics on microcap sell side coverage, ROE, insider ownership, geographic exposure, debt to ebitda, and volatility when compared to private equity and other market cap classes. The fall off of microcap performance in 2009 also correlates with the huge capital inflows into private equity and venture capital. 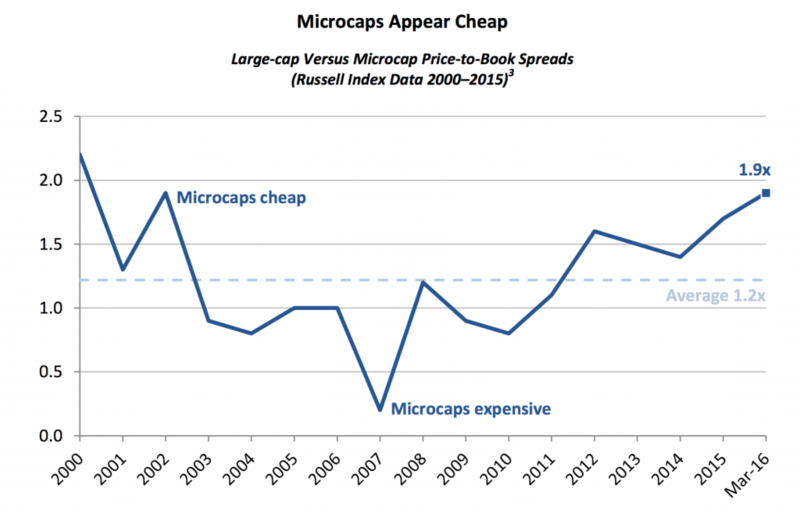 Microcaps are setting up for a resurgence as they offer greater value with less risk. I agree with their conclusion: Microcap investing offers compelling returns for the long-term investor well in excess of large-cap returns because microcaps are an underfollowed and less efficient asset class. Many of these companies take an entrepreneurial and dynamic approach to managing and growing their businesses. Microcaps are not without risk, of course, as they typically have less liquidity which leads to higher volatility. Overlaying microcaps with a value-quality tilt significantly improves these returns and reduces risk. Further, given their inefficiency and limited coverage, this asset class is ripe for active management. Microcaps also enjoy higher insider ownership, greater exposure to the domestic economy, and increased M&A activity relative to larger stocks. Microcap investing presents a viable alternative to private equity investing given its increased relative liquidity, unlevered return profiles, more reliable performance metrics, and much lower fees. Microcaps are an exciting place to invest and have proven themselves as a viable asset class that can add significant value to an investor’s portfolio over the long run. If you enjoyed this white paper, you’ll also enjoy It’s Time to Change Your Perception of Microcaps.